The EXCEL Lab is SMTD’s home base for performing arts entrepreneurship, leadership, and career services. 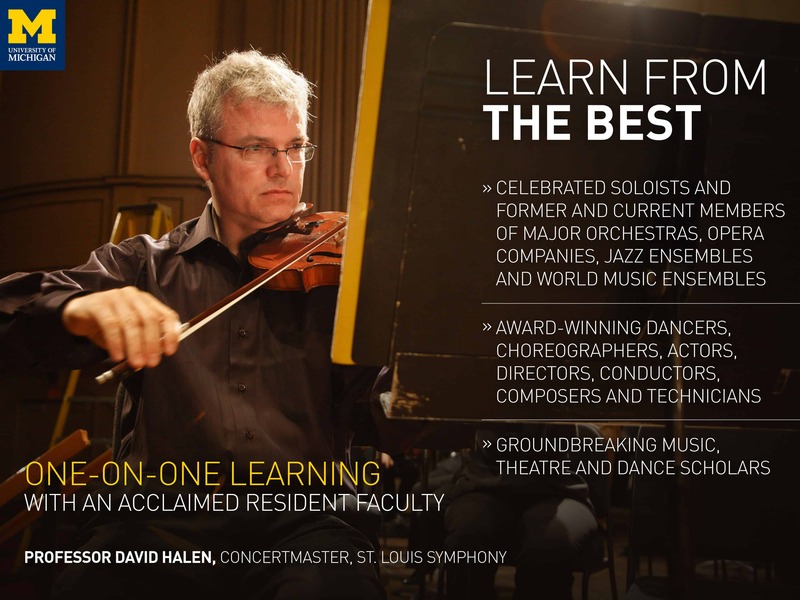 We take a personalized, collaborative approach to professional development by first exploring students’ individual visions and goals, and then connecting them with the resources they need to thrive. Whether you are seeking out a new career pathway or honing in on your competitive edge, EXCEL offers comprehensive access to skill-building, mentorship, and funding to help make your dreams a reality. 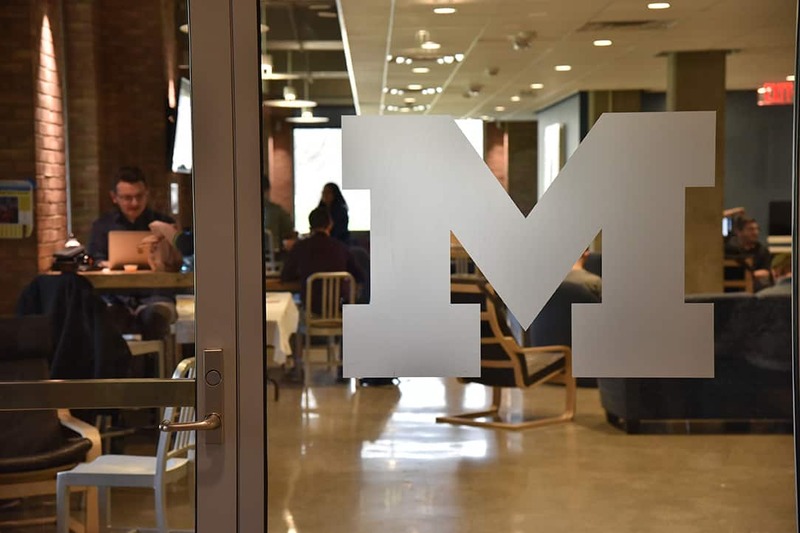 The Excellence in Entrepreneurship, Career Empowerment & Leadership (EXCEL) Lab catalyzes success for SMTD students and alumni through weekly workshops, 1:1 mentoring, and more than $100,000 in student project and venture funding. 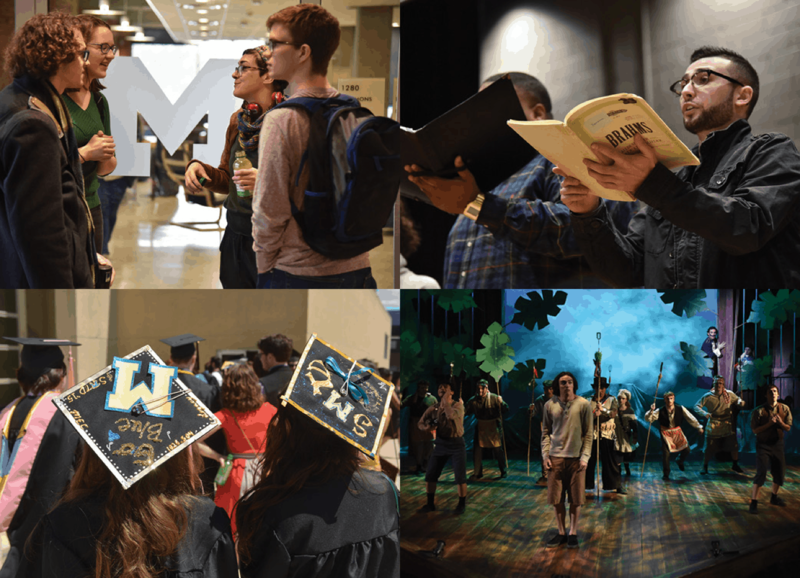 Our programming is made possible by the Meta Weiser EXCEL Fund, thanks to a generous gift from retired Ambassador and current U-M Regent Ronald N. Weiser (BBA ’66) and Eileen Weiser (MMus’75). 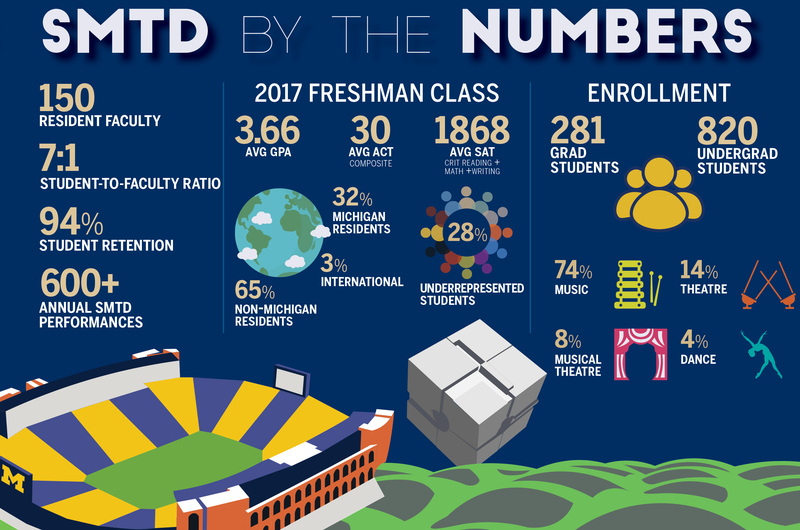 Learn more about the various ways we serve U-M students in our annual report. Stay up to date about student projects, special guests, and other upcoming activities with the EXCEL Log. EXCEL provided us with resources like marketing assistance, mentorship on event operations and development campaigns, and a generous grant that helped bring the 2018 Threads All Arts Festival to life; we more than doubled the amount of artists, audience members, and community partners involved this year. Whether you are looking for mentorship, funding, access to dozens of special guests, or other resources, explore all that the EXCEL Lab has to offer.